I don't think my goal in life should be to prevent my kids from ever eating anything unhealthy- let's face it, they are getting older and able to make their own decisions when they are not at home... but it is my job to help them learn how to make healthy choices when possible...I've thought about this a lot, I want them to learn to live a healthy lifestyle now so they don't have to struggle later in life. There are things I can do right here at home to help them learn and make healthy choices...so that way the unhealthy choices they might make outside the home won't be so bad. Here are some of our home rules that I've decided will help leave a healthy impression on them now. Kids have loads of opportunity to have junk food outside of the house, so we rarely have junk food inside our house. Having any of the following foods in our pantry would send mixed messages about our desire to be a healthy family. These foods are not forbidden for my kids (there are actually no foods forbidden to my kids) - they are free to chose and have many times chosen to take a pop instead of water. BUT- That does not mean I have to spend our grocery money on these things or stock my pantry with them! Chips: these are so cheap and easy to make on your own no need to buy packaged/processed ones! Plus, making them yourself can be a fun activity for the family! Packaged fruit snacks: this was (& still is) a hard adjustment for my youngest...but these little packages are full of sugar and void of any real fruit or nutrients. Make your own instead! Prepackaged Cookies: Not that sugar is always a bad thing (have I mentioned how much I love chocolate!?) but why buy prepackaged cookies when it's so easy to make your own and then store them? Candy: It's not that I don't ever let myself or my kids have candy...but no need to keep it around the house. Holidays and special occasions are fine, but other than that...if we don't have it in the house, we won't eat it nearly as much! Soda: Is just a waste of that grocery budget! If you "must" have soda try considering a soda stream! This will save you money weekly! It’s not enough to just avoid buying junk food, you also need your kids to have access to a variety of healthy foods! Fill you fridge and counter with fruits and vegetables. Stock your pantry with dried fruits, nuts, seeds, or homemade granolas. Kids will eventually learn that they only get what’s available to them. While they are young, they can not simply go purchase what they have a craving. What you include in your kitchen is what they can eat. For the longest time, my youngest son only wanted junk food. Fruit snacks were his favorite. It took awhile (and quite a few temper tantrums) but now he knows that fruit snacks are a treat, not a common thing in our house. He's actually opened up his mind and eaten lots of different kinds of fruits! He has even asked for me to pack strawberries or apples for snacks at school! Be on the same page as a family! If you get your whole family on the same page with your plans for healthy eating it will make things a lot easier. 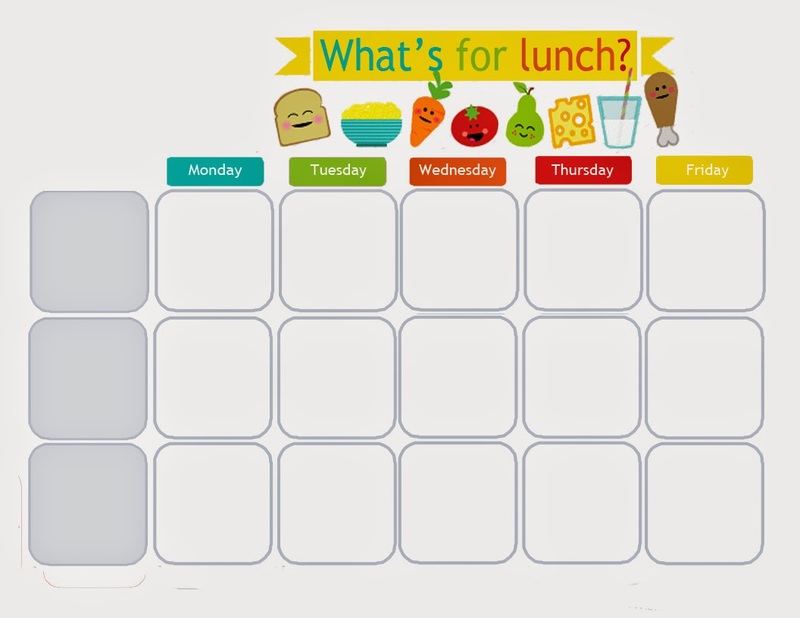 Kids like to know what to expect - buy, or better yet - print out a meal plan, and hang it on your fridge. . You can look at your meals for the week, and decide together who is going to help make the meals! You can shop together, you can grow the food together in your garden, and most importantly, you can eat together! Start working towards independence where they are able to pack their own school lunches with the things you think they should be packing. Get FREE printable planner here! We have a little routine after dinner... the kids have to get their clothes ready for the next day, and then their lunches. I usually oversee what is being packed, or even suggest things, but we started doing it the night before so that way our mornings are a lot less stressful! This may sound like a weird rule...but seriously...for the longest time my kids were walking TV commercials!! We'd walk through the grocery store and they'd point out a magical looking cereal and practically recite the commercial and the reasons we needed to get that cereal. It's amazing the difference limiting the time they get to spend on the TV changes their thoughts regarding cereals, fast foods and even toys! Now that they mainly only watch dvd's, there's a lot less begging! I've come to face the face that food is part of our culture, our celebrations and so many of our gatherings. Eating dinner together as a family comes with so many benefits, but family parties/holidays can also be a great place to teach kids how to enjoy healthy food during the holidays! It would be so easy to ignore or minimize the importance of teaching our kids to have a healthy relationship with food, but the sooner you can do these things, the sooner the lessons will be learned!